The sun is being a little bit reluctant to show it’s face through the clouds. After that glorious heatwave, you’re probably left yearning for those golden rays (depending on how easily your nose burns). 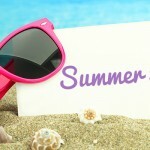 It’s hard to believe it’s July. 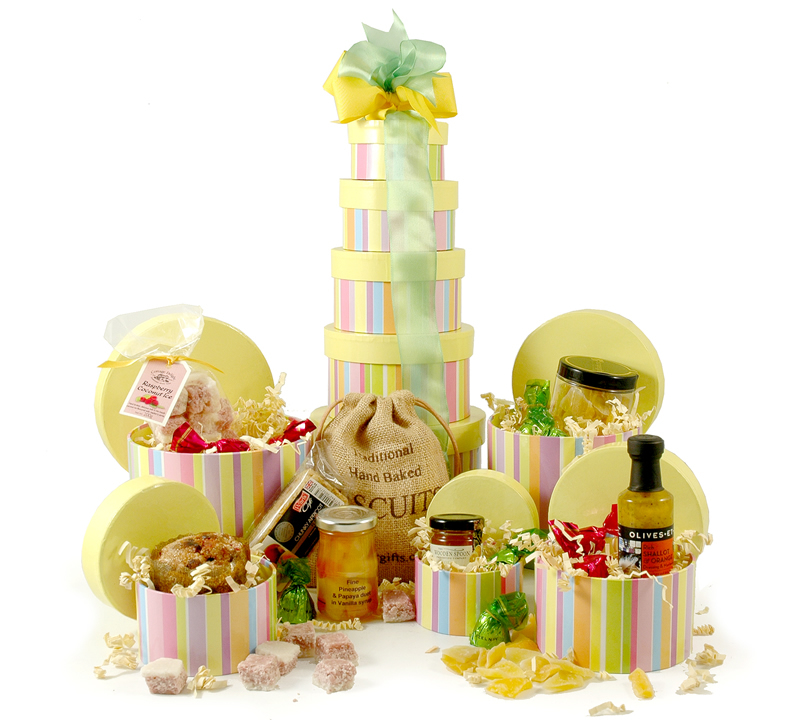 While you wait, why not bring a little sunshine to you in the form of a hand made hamper? 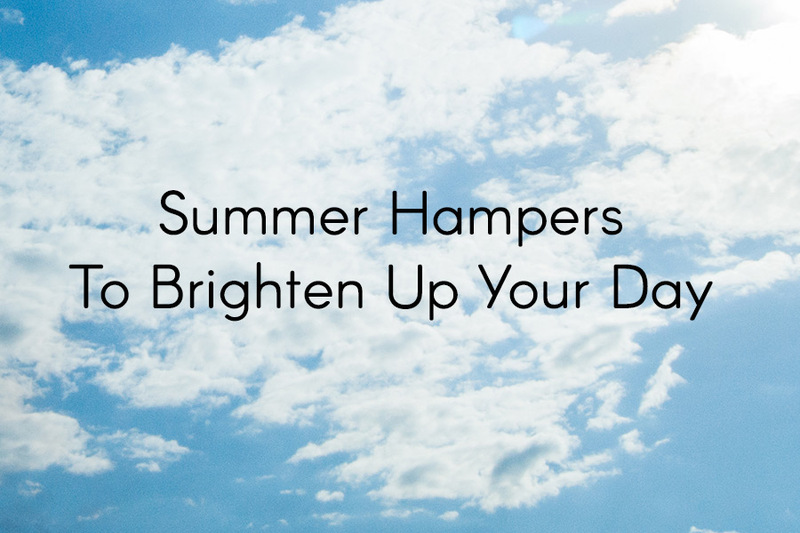 From sumptuous jams and marmalade, to melt in your mouth Sicilian Lemon Butter Cookies, our Summer Hampers are sure to brighten your day. 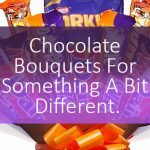 Here are some of our most popular ones! Take a look and see what catches your fancy. 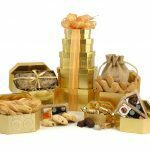 If you’re a fan of all things fruit flavoured, then this gift box is the one for you. 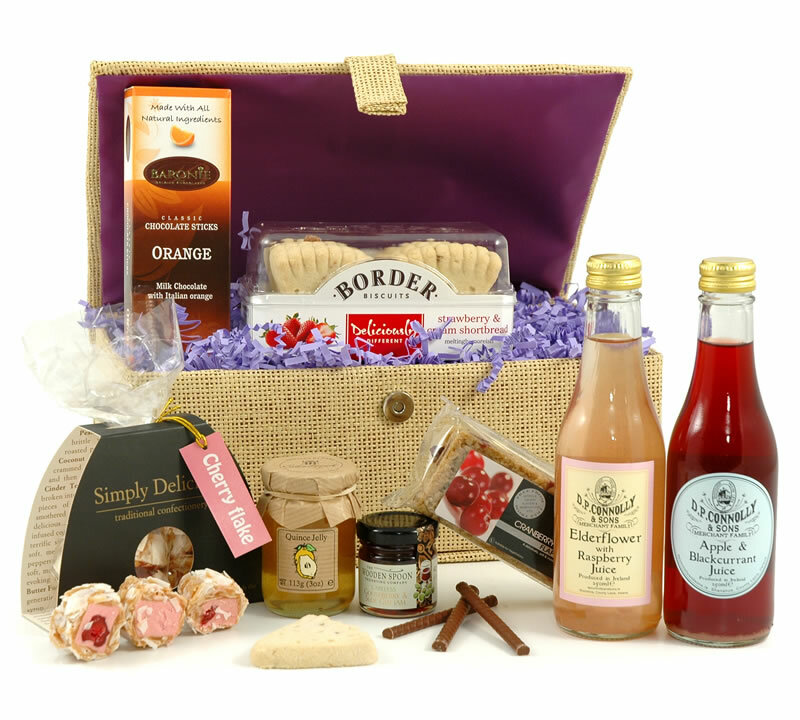 The delightful lidded basket is packed full of berry related treats that are bursting with summer flavours. Try the light and refreshing Elderflower Presse, the tangy orange marmalade and the irresistible Lemon Drizzle melts for a feast of invigorating flavours. The orange chocolate chocolate sticks and the award winning strawberry jam bring an extra sweetness to the collection, and the cranberry flapjack is so deliciously moreish that you will order another box before you’ve finished this one! 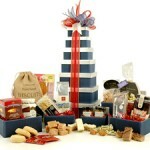 This impressive tower of goodies is instantly eye catching. 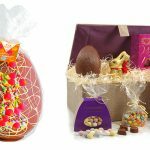 Just as bright and beautiful as a summers day, the colourful stripey boxes are jam packed with a feast for the senses. Chocolate cherry truffles, lemon butter cookies and raspberry coconut ice will bring summer to life on your taste buds. The chunky apricot flapjack and rich fruit cake are perfect for sharing around the picnic bench. The award winning olives are pure decadence and you won’t be able to resist the pineapple & papaya in vanilla syrup! 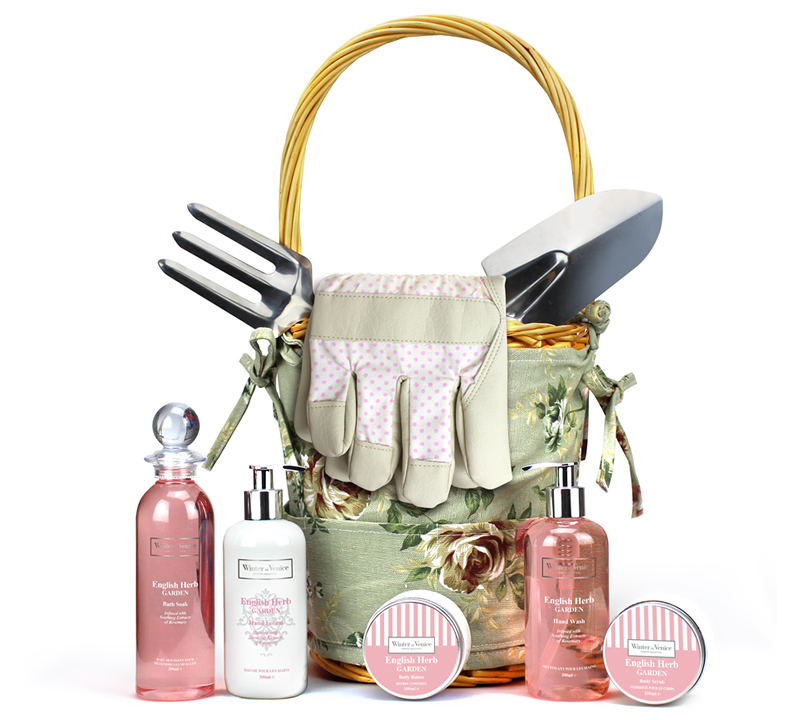 This delightful gift basket has everything you need for a day in the garden and a long soak afterwards. 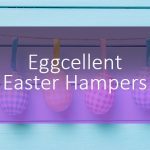 The gorgeous hand made wicker basket features a beautiful pattern that instantly brings summer to mind. The body butter, lotion, hand wash and bath soak are infused with natural extracts of rosemary which work to soothe sore muscles and achy limbs after a busy afternoon spent in the flowerbeds! 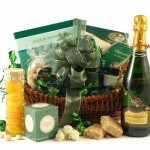 This charming basket also includes a rake and mini shovel along with a pair of high quality gardening gloves. Treat your green fingered friend to a pampering session. 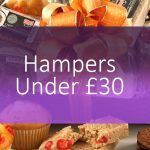 Are you looking for more Summer Hampers? Shop the full range here.